Tadej Golob (1967) is one of the most unique Slovene authors with thematically very diverse scope of works. 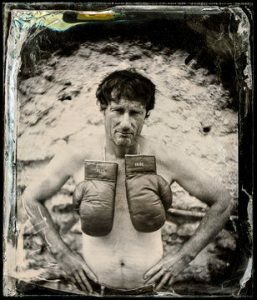 He appeared among the writers with a book Z Everesta (From Everest) (2000) where he describes Dave Karničar’s skiing from the highest mountain of the world, a mountain that the writer also ascended, and continues with biographies of Peter Vilfan (2004), Zoran Predin (2009) and Goran Dragic (2015), with novels for youth Zlati zob (Gold tooth) (2011) and Kam je izginila Brina? (Where did Brina disappear?) (2013), and with novels for adults Svinjske nogice (Pig’s feet) (Kresnik award 2010 for best novel) and Ali boma ye! (nomination for Kresnik award 2014). 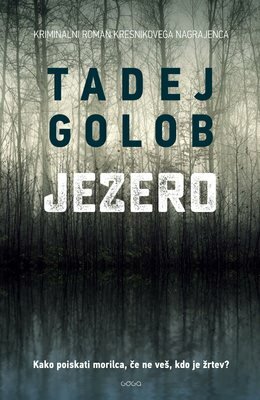 Jezero (Lake) (2016) is his first crime novel. The Lake is a crime novel which has shifted the boundaries of popular fiction writing within the Slovene literary scene, managed to intrigue a wide reading audience and unify literary critics in the verdict that this is a well thought out and extremely skilfully written story. Further proof of this are the three reprints of the book within a short time after it was first published in November 2016. The novel is set in recognizable Slovenian surroundings, the tourist surroundings of Lake Bohinj and the daily routine of the capital, Ljubljana. The protagonist is a model family man and detective with quite a reputation in his field. He is also a former mountaineer, a sworn recreational sportsman who is sometimes secretive, sometime impulsive, but always thoughtful and amusing.